Cleaning carpets in homes is our specialty. Whether you live in a house or in an apartment, there is no job that is too big or too small for us. Yearly cleanings by a certified technician are just as important to your carpet as having a trained mechanic perform routine tune-ups on your car. Even if your rugs seem clean on top, soils and allergens can slowly collect under the surface over time. Periodic steam cleanings will help your home remain healthy, make your carpets last longer, and keep your floors beautiful. We use a carpet cleaning method known as Hot Water Extraction. Also referred to as "Steam Cleaning," this technique injects hot pressurized water and a cleansing solution deep into carpet fibers with jet nozzles. The water solution penetrates the carpet all the way down to the backing, sanitizing and dislodging any embedded debris. 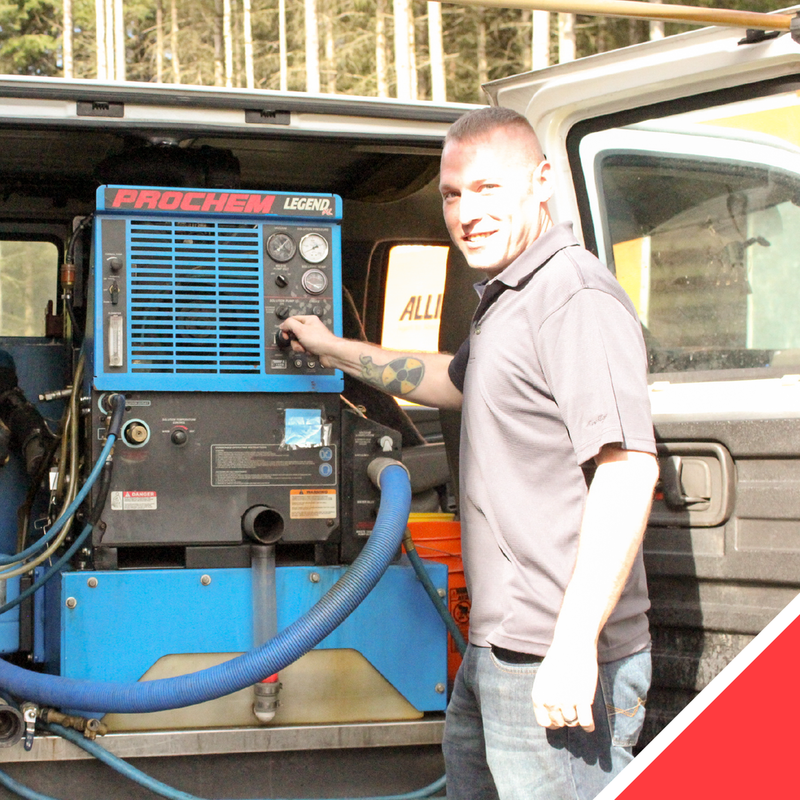 Then, powerful vacuums are used to extract the solution along with soils and allergens. Carpets are left only slightly damp to the touch, and usually air-dry in just a matter of hours. Hot Water Extraction is the number one cleaning method recommended by major carpet manufacturers, such as Philadelphia Shaw.